In ancient times, Eurasia experienced a huge number of land routes, but in history only one of them was declared as the main caravan road between East Asia and the Mediterranean. The Great Silk Road is a unique trade route connecting the East and West not only in the trade plan, but also in the cultural one. After all, during the journey, people shared experience, technology, and knowledge in all spheres of life. The name of the route came from its main purpose as China exported silk. 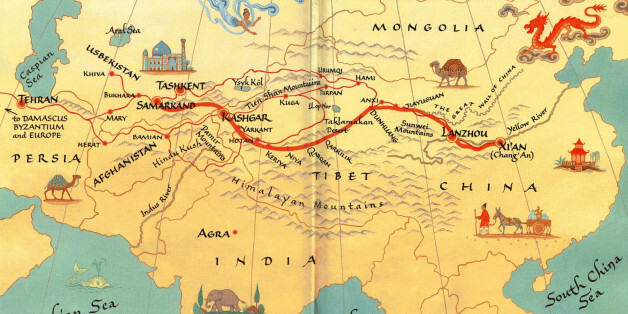 The Great Silk Road absorbed about 12 thousand kilometers. One of the directions on the caravan route was the territory of Uzbekistan. Travel agency«Novotours Silk Road» offers a tour along Great Silk Road through the cities of Uzbekistan. According to some sources, the main purpose of the Great Silk Road was transportation of such goods as silk, spices, ornaments. Transportation itself was carried out on donkeys and camels. Also, Central Asia (tours along Central Asia) exported horses, precious and semiprecious stones, natural products, and much more. There were many oases along caravan. The cities through which the Great Silk Road passed were flourishing and developing both culturally and economically.